“That's nice,” says the other monk. “What can the master at your monastery do?” asks the first. Zen people love that story. The point of it is: you don’t need magic tricks. The trick of life is to be present to your situation, and respond appropriately. The Unitarians, going back to Faustus Socinus, in Poland in the late 1500s, distinguished our faith tradition as the radical wing of the Protestant Reformation. Socinus’ version of Christianity emphasized Jesus’ teachings and the moral example of Jesus life. The first Unitarians were Christians who emphasized Jesus’ life, not his death. A couple hundred years later, Unitarians in New England in the early 1800s began describing themselves with the phrase, "the religion of Jesus, rather than the religion about Jesus." It’s not the magic trick of resurrection that is the important matter. It is the presence Jesus had, and his genius for apt response to situations. By 1841, Unitarian minister Theodore Parker was saying that none of the miracles attributed to Jesus had any importance. We are the people who put Jesus’ life not his death at the center. But Easter is all about his death. The roots of Unitarianism are in the religion of Jesus – that is, the religion that he himself taught and practiced – rather than religion about Jesus. But Easter is about the period when Jesus was beyond doing any teaching. It’s a story about him. Of course, Easter is a springtime celebration. The resurrection is the resurrection of life after the death of winter. We celebrate new life and new growth (sometimes in new places). Resurrection is a general metaphor for spring. Beyond that, the four gospel stories each provide us with a different story, which we can read as parables. Different numbers of women, different numbers of young men in white or angels, different encounters between Jesus and his followers. They were written by different authors at different times, to different audiences, for different purposes. Mark’s parable is about encountering fear. Three women approach the tomb. When they see the stone rolled back, they are nervous. Is this some kind of trap? Is he secret police? Is he a Roman agent? These words do not reassure the three women. They turn and flee from this creepy guy. Mark’s gospel represents the continuing fear of political repression faced by Jesus’ followers. John’s parable, is about discerning our true nature and true place. Mary goes in solitude to see the empty tomb. No one is there. She returns from the tomb; speaks to some trusted others. Some of them went back with her to the tomb again, but then left her alone there, crying. Then she turns around, and there’s the truth, right in front her, but she still doesn’t get it. She thinks it’s the gardener. But it is the truth, and it calls her name -- and in that moment she realizes it, realizes herself. Matthew’s parable is about the courage to live into your truth in the face of enemies who oppose it. Some of Jerusalem's rulers catch wind of the news that Jesus' body has gone missing. They concoct a story, which they bribe the guards to affirm, that some of Jesus' followers came in the middle of the night and took the body away. People will tell you that there is no new life, no new truth for you to discover. “There is no transformation, no greater wholeness,” they will say. But Mary knew better – and so do we, in our hearts. Luke’s parable is not about our enemies but our friends. Mary goes to speak to the apostles about this frightening yet promising new reality she has discovered. Liberation? Wholeness? It is an idle tale, our friends may think. But the truth of your life is not for your enemies to define, nor is it determined by your friends. Four gospels, four different parables, all about a truth, this reality which you are prone to overlook, to mistake for the gardener, but which comes to you when you are alone – this truth that your enemies discredit and your friends find idle – this truth that might even make you persecuted – was personified as a man, Jesus of Nazareth – a teacher, a healer, a prophet within the Jewish tradition, a mystic, and a social radical. He taught a message of transformation – that we have the ability to transform our lives – by loving one another, by loving even our enemies, by living simply and not placing faith in money, material things, status, and power. Following his model and his teachings is transformative. Jesus lived and taught about a new social order – what he called “the Kingdom of God” – what we might call the Kin-dom of God, or Beloved Community – a society based on love and compassion. People thus transformed become agents of transformation of their communities and of the world, realizing the Kin-dom of God on earth. 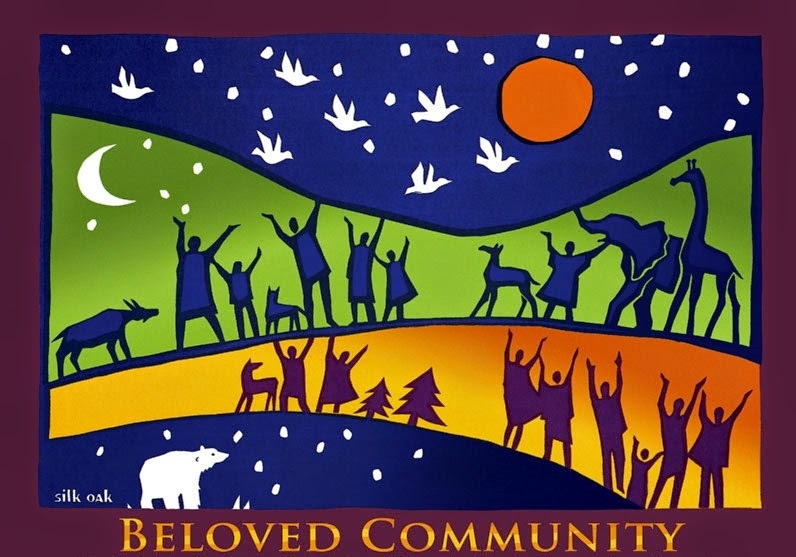 This, then, is a Unitarian Universalist Easter message: Our community can be a community of transformation. That's how we realize the Kindom. This is part 1 of 2 of "Easter and Transformation"